Have you ever noticed how good your pets are at interpreting the signals you put out? Pick up the leash, and your dog is dancing by the door. Crank the can opener, and Kitty is tangling herself around your legs. Paying attention to backyard birds will tell you what their behavior means, too. Fall is a good time to practice, because the signals are so unmistakable that you’ll be able to figure out bird behavior just as clearly as you interpret it with your pets. I tend to take birds for granted in late summer. There’s not much activity at the feeder. The fun of watching nest-building birds is over for another year. Besides, I’ve been busy trying to keep cool during the dog days, just figuring out how to sneak the humungous zucchinis over to an unsuspecting neighbor. The first sign of the times is that birds stop singing. You may not have even noticed that the dawn chorus was dwindling as singers dropped out over the course of summer. August mornings sound way different than they did in May. You’ll still hear an occasional robin greeting the day. Once nesting season comes to an end, there’s no need any more to win a mate or stake a claim against the competition. In many cases, a bird’s fall clothes look just like its spring outfit: cardinals’ look like cardinals; blue jays like blue jays. However, in several species, the change can be confusing because the bird (usually male) changes its costume to one that differs from the “usual.” Those that change are the American Goldfinch, the Starling and Rose Finch to name a few. They change colors of their outfits seasonally. Fall migrants behave differently than birds on the move in spring. Spring migrants are full of themselves; their hormones are already in gear, so they’re feisty and active. Fall migrants have a different agenda. Nesting season is over, so hormones have simmered down. Males aren’t flashing their wings, chasing each other, or practicing their postures. Eating is the top priority; it’s a long journey, and birds are focused on filling their fuel tanks. 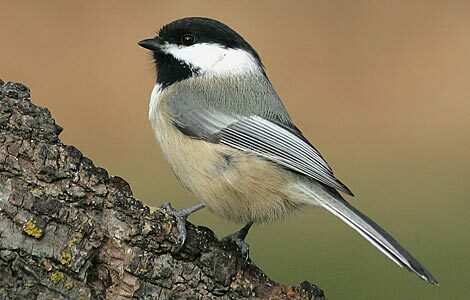 I would love to encourage each and every one of you to attract birds to your backyard sanctuary. Birding is the second largest hobby next to gardening, so they truly go hand in hand. I have enjoyed this hobby myself for 30 years and going strong. My home and business is registered as a “National Backyard Wildlife Habitat” with the National Wildlife Federation. It is easy and educational to do. Please click here to visit NWF website to see how you can get your property registered and start enjoying the antics of nature’s best kept secret … our natural birds.